Although I liked all of them, my favorite was the mushroom and swiss. 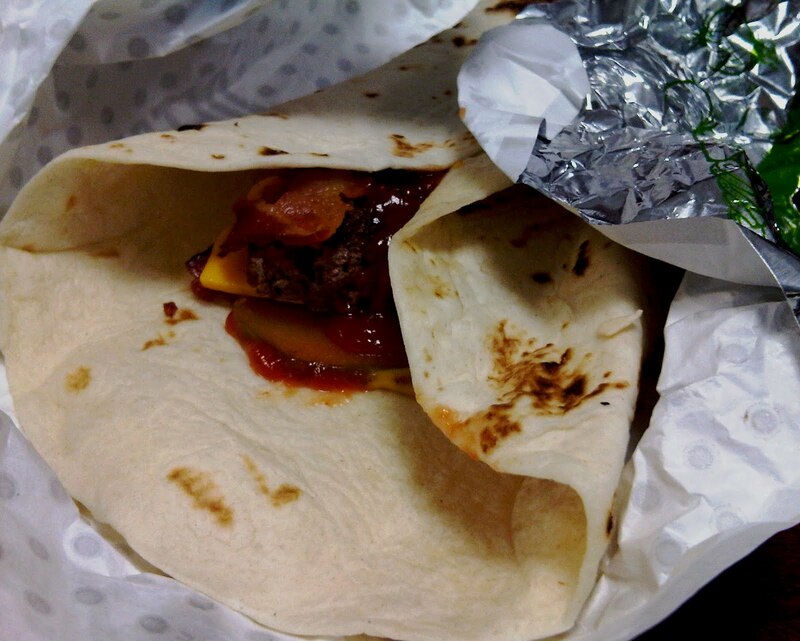 The well-seasoned mushrooms and sharpness of the swiss cheese gave the wrap flavor and heartiness. Even though it was the oiliest and most caloric out of the three (one wrap=~400 calories), it was the perfect afternoon delight to get me through the mid-afternoon doldrums. Plus, it was small enough to not give me a complete “grease headache” - although it left me craving more! 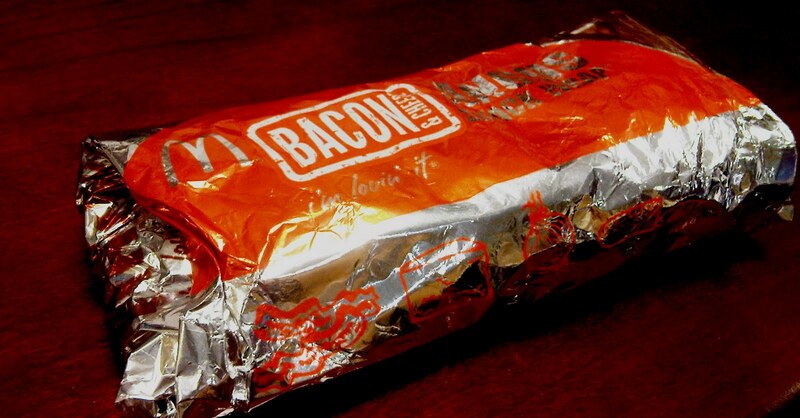 The one qualm I had about the wrap in real life looks nothing like the ads (especially the deluxe wrap). I know they “jazz up” food for ad purposes but wow – no words. See below for a comparison. Even though the Angus wrap isn’t the most attractive of menu items (but really, does anyone eat at Mickey D’s for the presentation? ), it’s still an affordable and innovative snack to be enjoyed in moderation. "I have tried the mushroom and swiss it was good. I would like to try the deluxe." "Mushroom and Swiss for me, 2 things I like in one wrap." Please email financefoodie [at] gmail [dot] com to claim your prize within 48 hours! Contest ended Tuesday, August 31 at 5pm EST. Winners will be chosen via random integer generator on random.org announced on the financefoodie.com site shortly afterwards that night! o0o0oo Mushroom and Swiss is the one i would get so I could give it to hubby he loves thier angus burgers. Mushroom and Swiss. That and a cold beer. I haven't tried one yet but I'd love to try the Deluxe! I would love to try the Bacon and Cheese Angus Beef Wraps. I think the mushroom and swiss sounds the best. I have tried the mushroom and swiss it was good. I would like to try the deluxe. I want to try the Bacon and Cheese. Would love to try the deluxe! I'd like to try the Bacon and Cheese!! I would like to try the bacon and cheese. I would most like to try the Deluxe. Mushroom and Swiss for me, 2 things I like in one wrap. I LOVE Mushroom & Swiss Burgers, so I best this wrap will be a WINNER! I'd love to try the mushroom and swiss. I'd love to try Mushroom and Swiss. Mushroom and Swiss is my favorite, too. I want to try the mushroom & swiss...that is my favorite sandwich so I am sure the wrap is good too! i'd love to try the bacon and cheese one! My fave is the bacon and cheese. It was really good. Bacon & chesse - yummo! I would love to try the Bacon and Cheese!